Jnanameva param Brahma Jnanam bandhaya kalpathe. Jnatmakamidam vishwam na jnanavidyate param . The Oxford English School, affiliated to the Council of The Indian School Certificate Examinations, New Delhi was established in the year 1996-97. The milestone was laid in the year 1998 June, when the ICSE school started functioning with classes from Nursery to Class VIII. 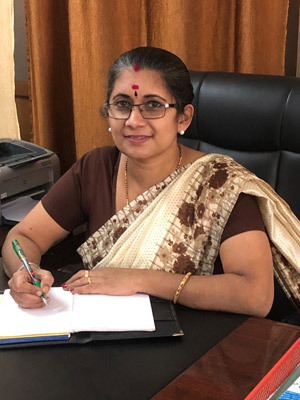 Ever since then school has grown phenomenally with the strength of about 1000 students and 65 teachers, powered by the dynamic leadership of the Chairman, Sri. S. Narasaraju and under the able guidance of the Executive Director, Sri. S. Ramesh Raju. The first batch of X Std. took the Council Examination, in the year 2001 March. All the students who appeared for the examination passed with distinction and there has been no looking back in academic excellence since then. 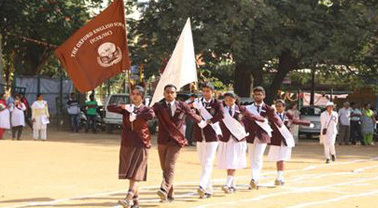 A feather was added to the glory of the school when the ISC (Class XI) was introduced in the year 2006. The first batch of class XII appeared for the Council Examination in March 2008 and got 100% results with students, scoring a high percentage. The school has a competitive team of staff members who help students to face the academic challenges of modern Education.